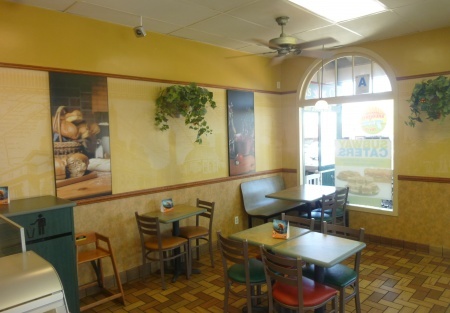 Here is the outstanding beach location of a simple to run deli that you have been looking for. Hard to find a better location than this along the coast. Located on the 101 with a west facing store front, visibility, access and signage are all excellent. Store has a corner location that can't be missed from the busy road and wide sidewalks of this very popular beach community. Both foot and car traffic are huge, providing a constant stream of local and visiting customers all looking for this nationally known and extremely well received chain. Now is the time to get into this type of business, the support from the franchisor is outstanding. Get into this one and make your plans for expanding to multiple locations. This will be a great base location. A major remodel was recently done so you are current on the design scheme, that's a savings of 50k right there! Sales are in the 20k per month range currently and a big advertising push from the franchisor is in the works. Space is approximately 900 square feet, with a small patio area already set up. There is room to expand the patio with minimal effort and expense. Rent is only $2600 per month. Current lease term expires in in 2016 with a five year option available. Get in now with this great first location and build your empire from here or add this place to your existing locaions. The choice is yours!